HALIFAX, N.S. 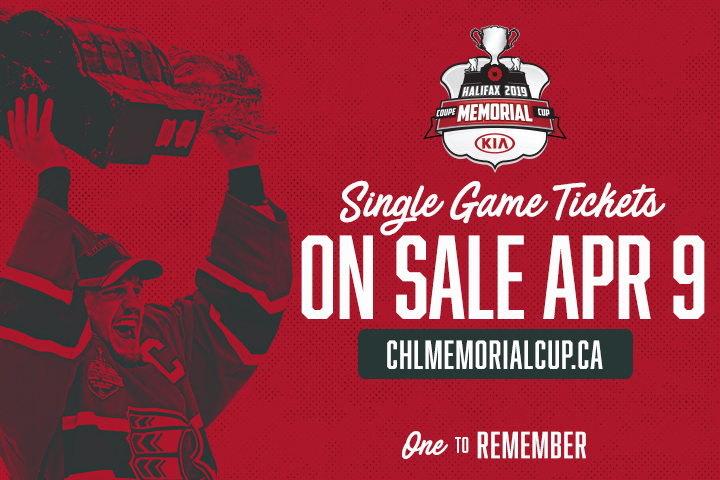 – The 2019 Memorial Cup Presented by Kia host committee is excited to announce that individual tickets are set to go on sale on Tuesday, April 9th at 11am. 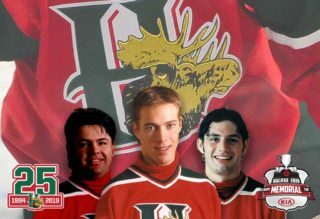 This is the perfect opportunity for fans who want to be part of the biggest sporting event to hit Nova Scotia in years. 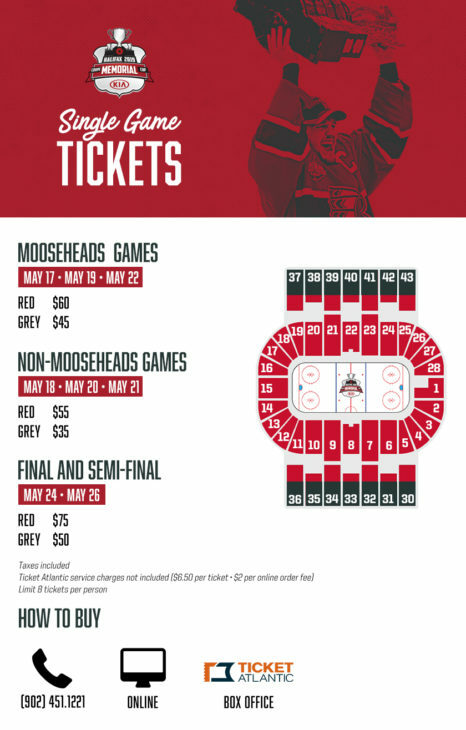 “This is the last chance for fans to get their hands on tickets to the 2019 Memorial Cup presented by Kia,” said host organizing committee chair Mat Harris. Prices range from just $35 to $60 for round-robin games and $50 to $75 for the semi-final and championship final. Tickets will be available at the Ticket Atlantic Box Office, online at TicketAtlantic.com, select Superstore outlets or by phone at 902-451-1221.